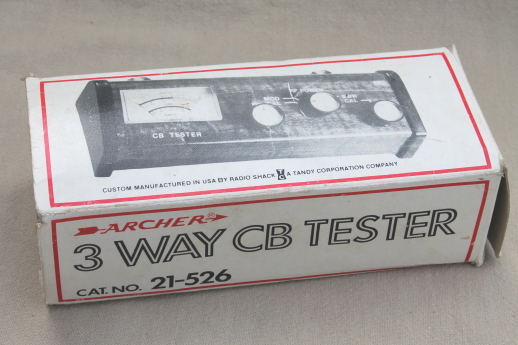 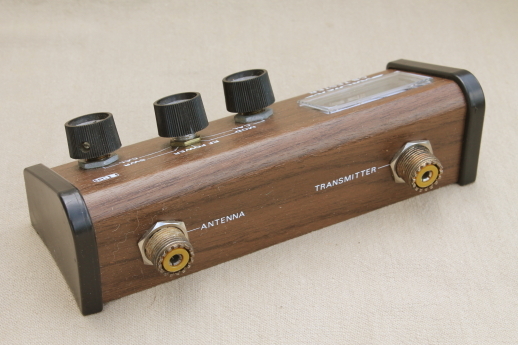 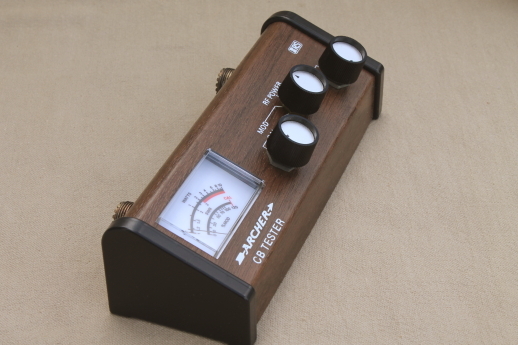 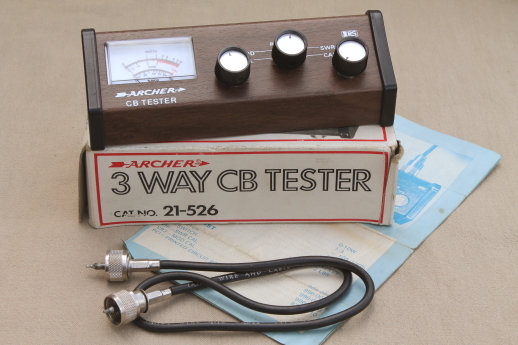 Archer 3 way SWR CB tester 21-526 with the original instructions and box. 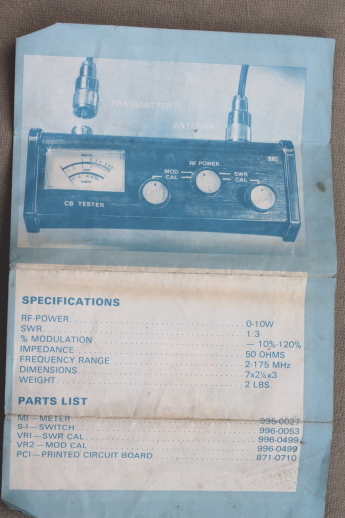 This tests Modulation, RF and SWF. 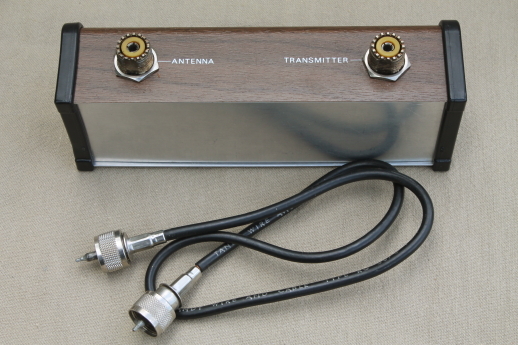 There is some light tarnish on the cable connectors.